Dining Room before Supper. 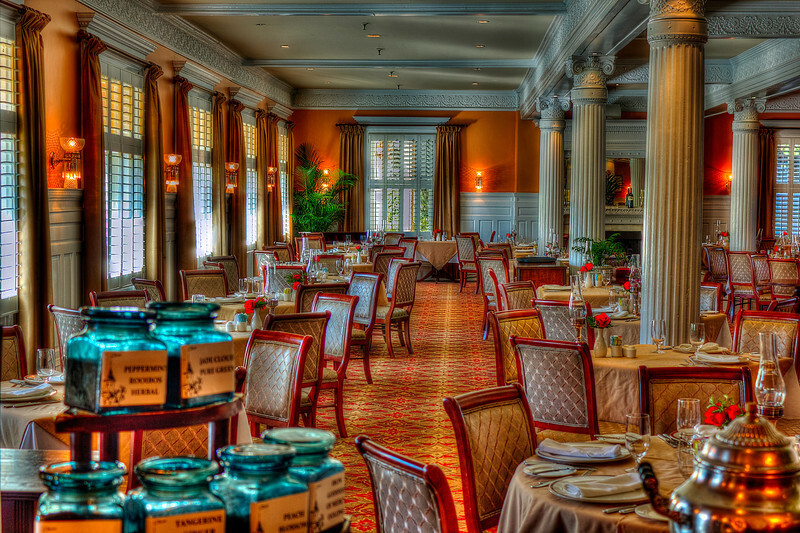 Jekyll Island Club Hotel.This where the money people had their meals in the 20's and 30's on the island. During World War 2 with the threat of submarines the President of the U.S. had the Island evacuated lest the rich of the day be captured and turn our money system into nothing. For almost 50 years it laid into disrepair but now has been restored to it's haydays appearance.